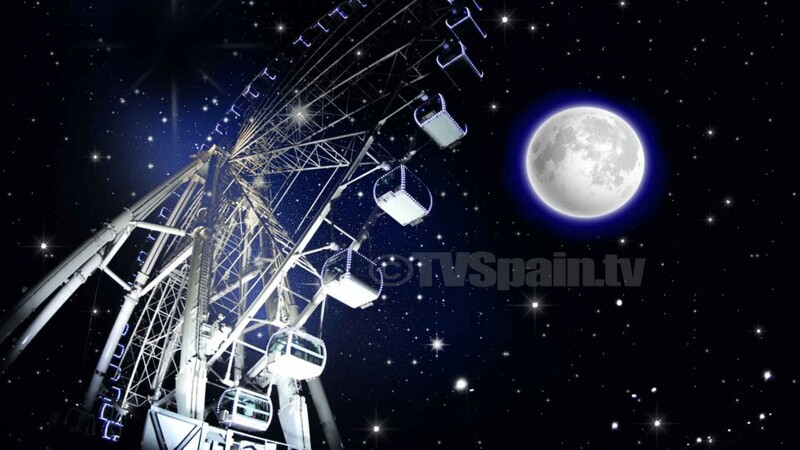 It is 70 meters high observation wheel based in Malaga port, which offers breathtaking panoramic views up to 30 kilometers if the visibility is good. The opening hours are from 11.00 hrs to 24.00 hrs every day. Each of its 42 glazed cabins is equipment with cold / hot air conditioning, LED lighting, accommodates 8 passengers and is accessible to people with disabilities. 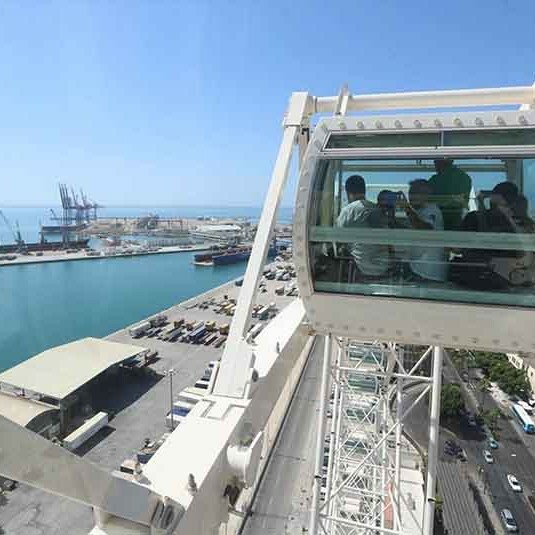 The trip takes approximately 15 minutes, during which the wheel makes three full turns. 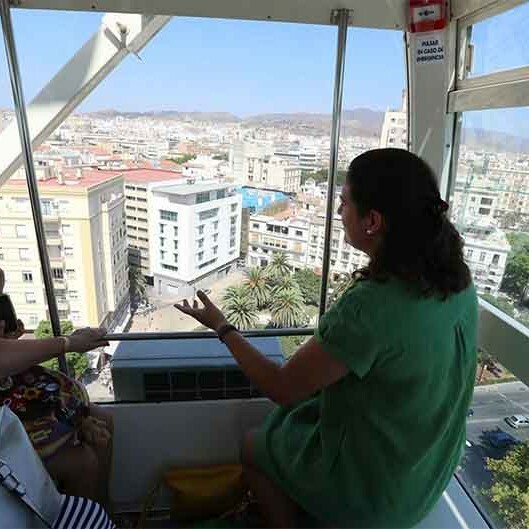 Malaga Ferris Wheel ‘Noria Mirador Princess’ is already “rolling”, although the official opening will start on September 8. 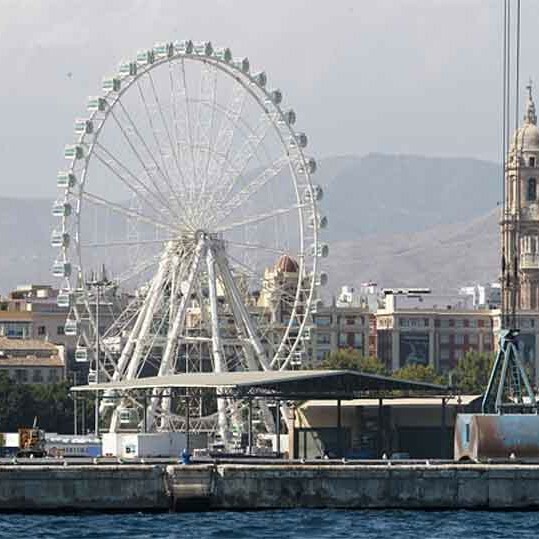 The wheel will be staying in Malaga for a minimum of eight months, which would be renewable. The entrance costs of 10 euros for adults, although there are discount for families, children and for over 65, reduced up to 7 Euro. Small children get free tickets.